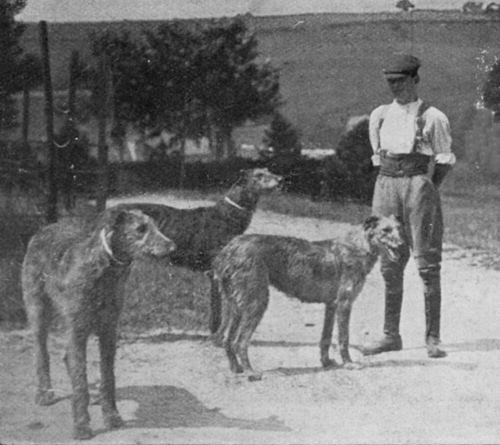 This is, in our opinion, often minterpreted. 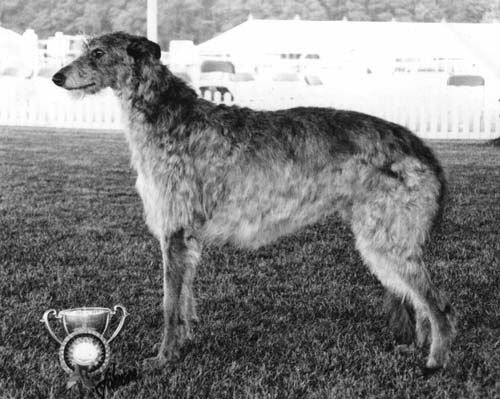 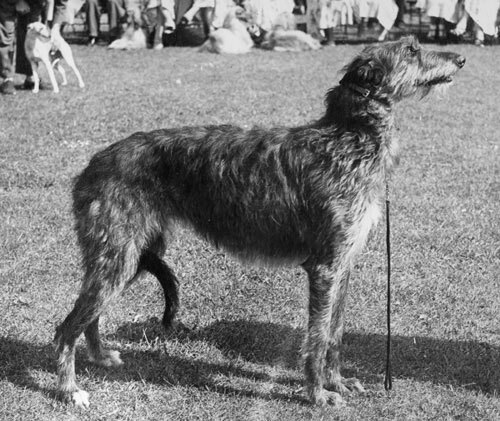 A Deerhound is not a greyhound with a coat and the most important word in this part of the standard is 'resembles'. 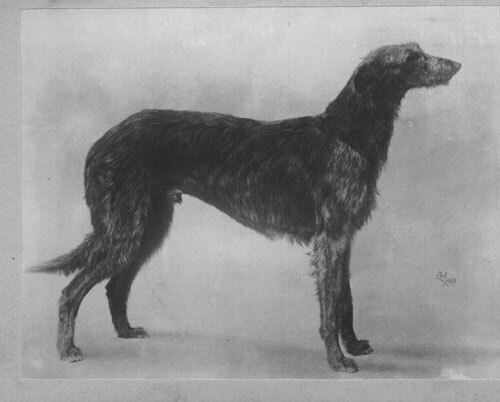 The deerhound is a rough coated dog and should in its general appearance show strength and size. 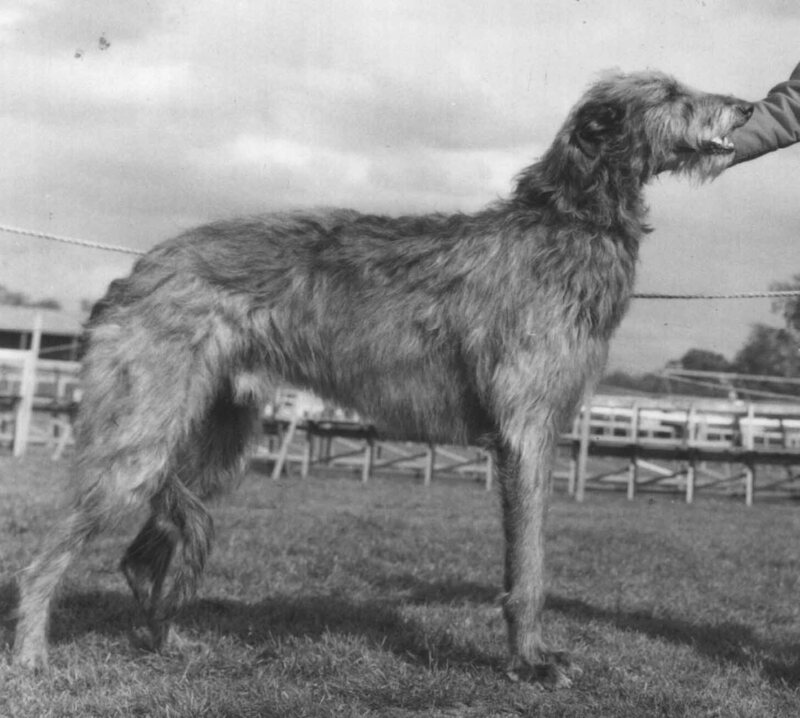 The ability to pull down a red stag was the original job of this hound and although we want our dogs to be family dogs and friends first it is good that when we look at the old pictures we still see the dog as it is today. 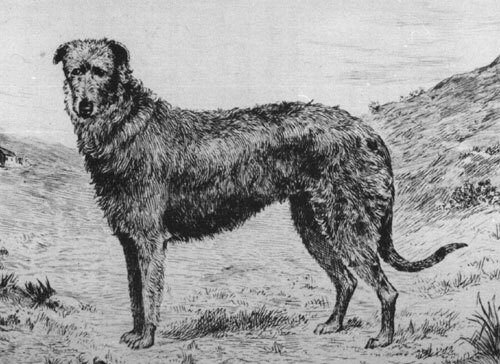 Characteristics; The build suggests the unique combination of speed, power and endurance to pull down a stag, but general bearing is one of gentle dignity.